Today is Tommie’s birthday. At least, it’s our best guess at the date. 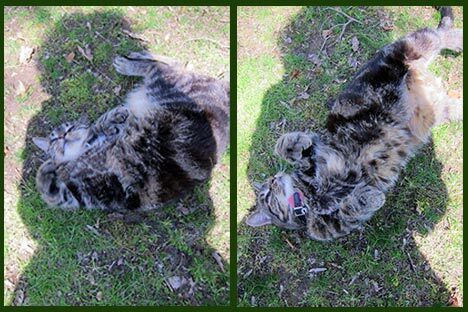 He wobbled out of the woods in front of our house 15 years ago; a tiny, hungry, absolutely adorable 6 week old kitten. 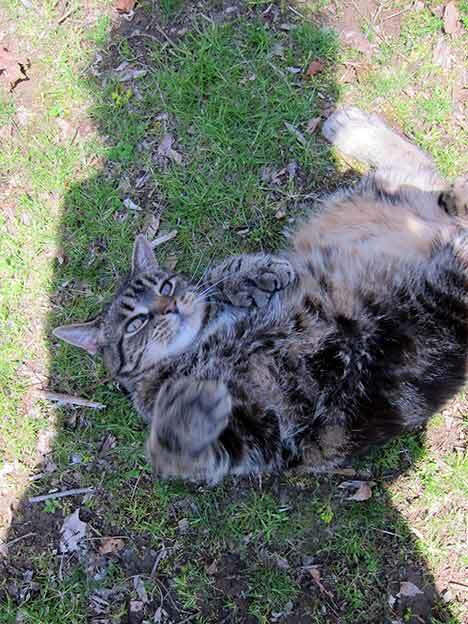 He’s luxuriating in the early Spring sunshine, inviting tummy rubs.